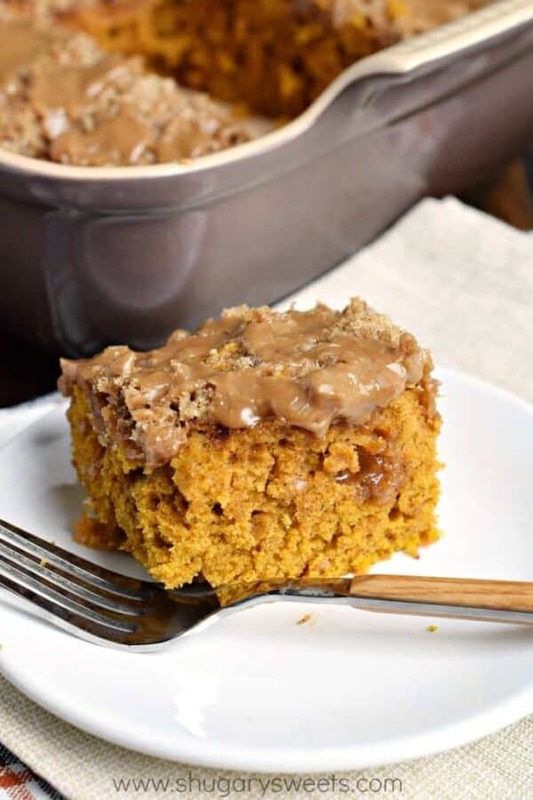 Pumpkin Streusel Coffee Cake with Maple Glaze is the perfect fall treat. 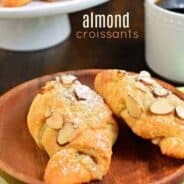 Whether for breakfast or dessert, indulge in this delicious recipe today! Let the best Pumpkin recipes of the season continue! 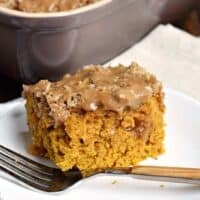 Today’s Pumpkin Streusel Coffee Cake with Maple Glaze is truly magical. 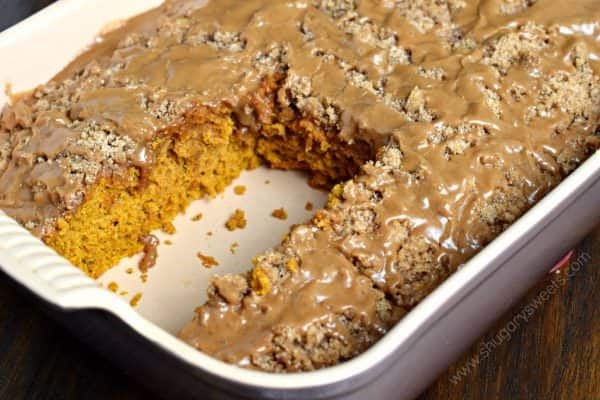 It starts with a moist, delicious pumpkin coffee cake. 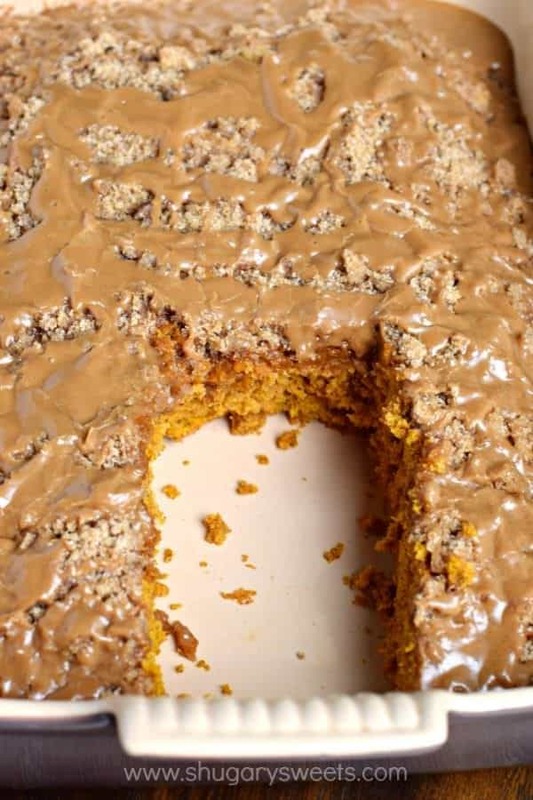 I then added a delicious crumbly streusel topping to the cake before baking, because why not? I was going to stop there. Really, I was. But then I looked at the sweet cake and I knew it was missing something. So I drizzled on a maple glaze. Lord have mercy, this is one stunner. If you need to bake something this fall, to impress your friends, family, coworkers…seriously let it be this coffee cake. And since we call it a “coffee cake” it’s totally a perfect breakfast food. Not to say you can’t enjoy a slice in the afternoon with a cup of coffee….or a big piece after dinner. Or all the above! ENJOY. Preheat oven to 350 degrees. Grease and flour a 13x9 inch baking dish. Line the bottom with parchment paper. Set aside. In large mixing bowl, beat the butter and sugar until combined, about 2 minutes. Add pumpkin and eggs, beat until blended. Add the flour, baking soda, baking powder, cinnamon, ginger, nutmeg, cloves and salt. Pour batter into baking dish. For the streusel, mix the ingredients together with a fork. Sprinkle over batter. Bake cake in a 350 degree oven for 45 minutes, until toothpick comes out clean. For the drizzle, whisk ingredients together until smooth. Drizzle onto cooled cake and allow to set, about 30 minutes. ENJOY! 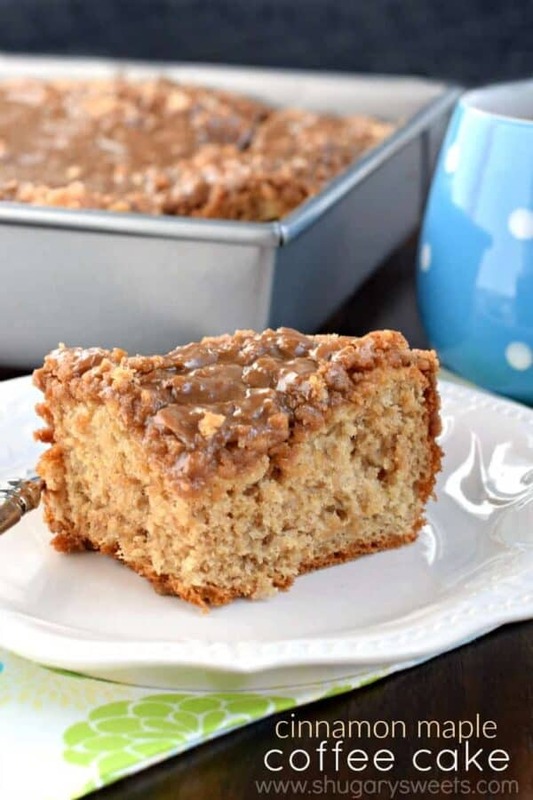 Cinnamon Maple Coffee Cake: you’ll love the chewy crust with the sweet maple glaze! 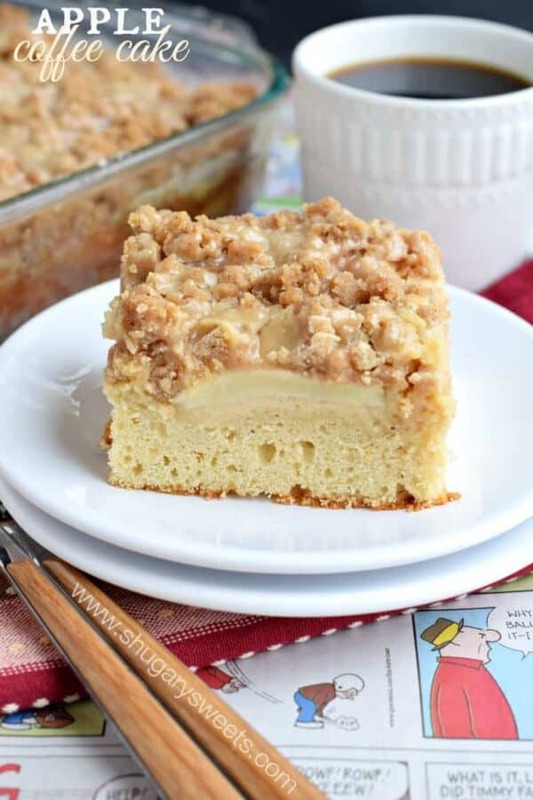 Caramel Apple Coffee Cake: one of the most popular with my family and friends! 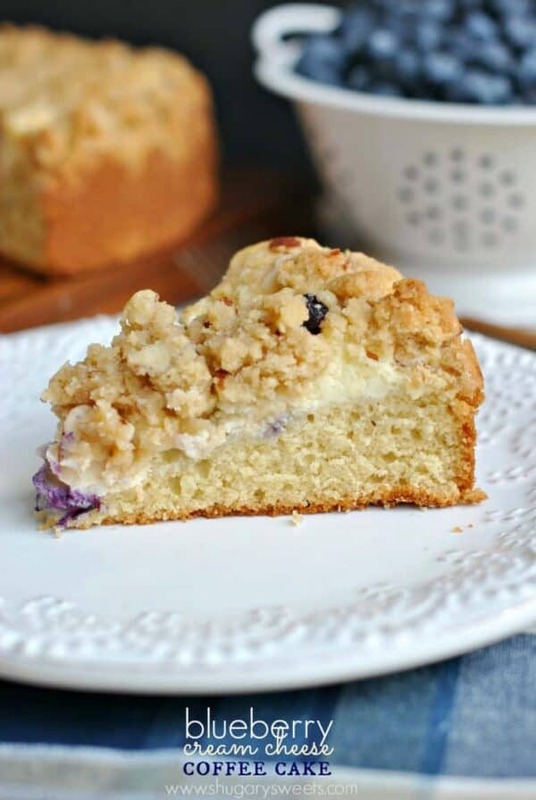 Blueberry Cream Cheese Coffee Cake: I love the swirl of cream cheese filling in this breakfast cake! This looks wonderful! 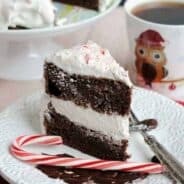 I would love a piece with my coffee! Ooh! That maple glaze! What a great combo! 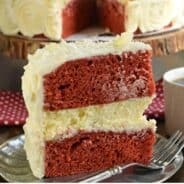 Can you use a bundt pan or tube pan with this recipe? Our oldest grandson would love this I am sure. That glaze on top is just so delightful! Maple glaze just makes me so happy. It’s the best way to finish off so many things, especially pumpkin things! Hi Please clarify where the Streusel ingredients start.